With global changes in all industries and this generational change in the workforce, HR has transformed from being a personnel department to a strategic business partner. While today, technology has changed our life with every single invention & trends are changing faster than time itself, it is also a reality that the initiatives and plans we make for today, may just become obsolete even before the season changes. With machine learning and AI leading the way, being a people manager in an hour like this can be daunting & yet, enriching. Once considered a hindrance to work life, social media has become a recruitment and engagement tool for leading organizations all over the world. Human Resources teams rely on social to evaluate and scout for talent, stay connected to leads and engage with prospective employees with ease. The ever-changing economic climate and global business scenario has also created a fiercely competitive business landscape. In such a scenario, “People” become the most critical asset of all businesses and to them, your employer brand. Your talent become the sole differentiating factor and their talent empowers the company to navigate turbulent waters. Understanding the need to recruit and retain superior talent, business leaders and CEOs are placing more emphasis in creating a workface that considers the needs of the current primary generation – the Millennials. That said, we have Gen Z, eagerly waiting in line to join the corporate world. With global changes in all industries and this generational change in the workforce, HR has transformed from being a personnel department to a strategic business partner. It is no longer just about processing payrolls and managing recruitments. With mounting cost pressures and the increasing need for business efficiency, the role of the CHRO of a company has changed from being Human Resource personnel to that of a Business Strategy Head. As companies build hierarchies that are effective for a global workforce, there is greater need to create and structure change management processes that keep Organization & People Development as the prime focus. As an enabler, technology is helping HR teams across organizations understand people better. The era of data is also being replaced by the era of insight. This means that simply having a chat bot might not be enough. What also matters is that data and analytics help you take decisions that are based on tangible insight keeping empathy in mind. 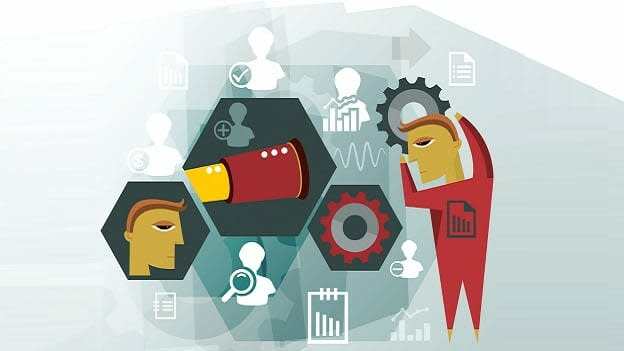 While the future of HR teams seems to be one where we are rapidly adopting upcoming technologies such as Artificial Intelligence and Predictive Analytics for Change Management and OD; Human Resource teams will also need to develop or hone skills that help accentuate the human aspect of people management, including coaching, mentoring, counselling and career shaping. With business leaders accepting this change, the need for better people management, engagement and wellness initiatives has increased exponentially. Employee wellness and engagement is taking centre stage, with overall wellbeing being the core focus. Both physical and mental health of the people you work with is coming to the forefront as the correlation between these factors and employee experience becomes evident. It is safe to say that today, the focus of HR teams has moved from transactional personnel issues to solving genuine people matters that ensure they stay longer. At Godrej Properties Limited (GPL), we aspire to create an inclusive culture that empowers employees to bring their ‘Whole Self’ to work. At 30 percent, GPL has the highest gender diversity in real estate sector which has traditionally tilted towards the male gender. This diversity is reflected equally throughout all functions in the organization including Design, Construction, Business, Marketing and HR. In the coming years, GPL intends to increase this ratio steadily through continual culture and employee engagement initiatives. Mentoring women employees through their career journeys at GPL is a priority for us in order to increase the diversity ratio at leadership level as well. A lot of our efforts are focussed towards creating an inclusive environment at work. #Unlabel are sensitization sessions we run across the company on making people conscious of the biases they carry to work. In the coming years, I also see career management becoming the focus of the HR fraternity as employee productivity and retention becomes crucial. Mapping capabilities of employees ensure proper succession planning within the company. Investing in talent and building capabilities through proper evaluation of talent pools contributes to these efforts. As the generation that grew up with technology comes to foray, changing work culture policies and creating a setup that syncs with their lifestyles and needs will also demand our attention in the near future. One step at a time!